WELCOME TO JKO COATINGS & Services, CALGARY GARAGE CONCRETE RESTORATION CONTRACTOR. 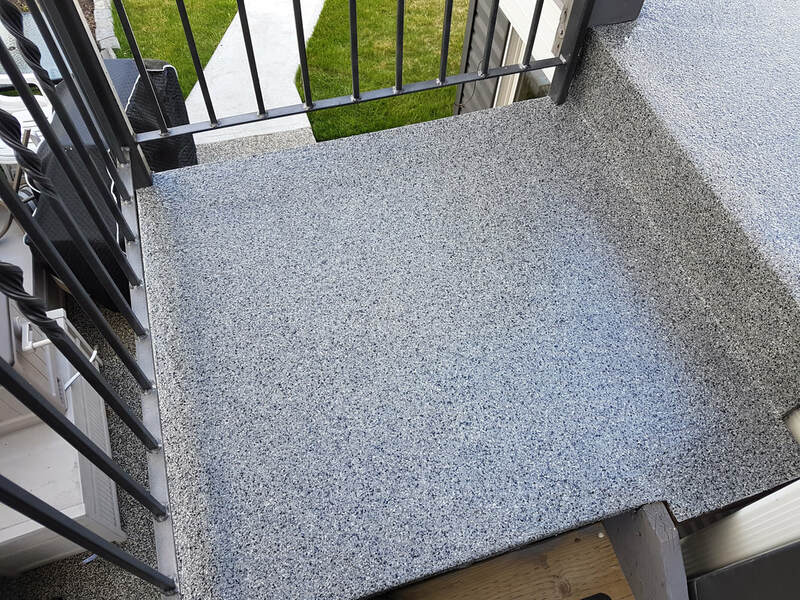 Jko Coatings & services is a reputable Calgary concrete contractor with a track record of focusing on creating a positive experience for our clients. We estimate jobs honestly and educate our clients/prospective customers about all options and solutions for their flooring needs. 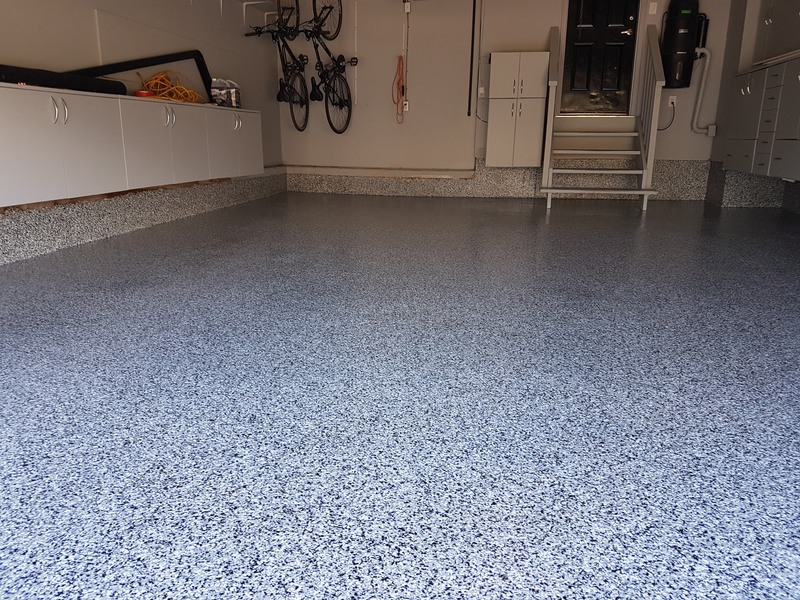 We specialize in garage floor resurfacing, epoxy coatings, polyurethane coating, Concrete overlays and floor leveling. 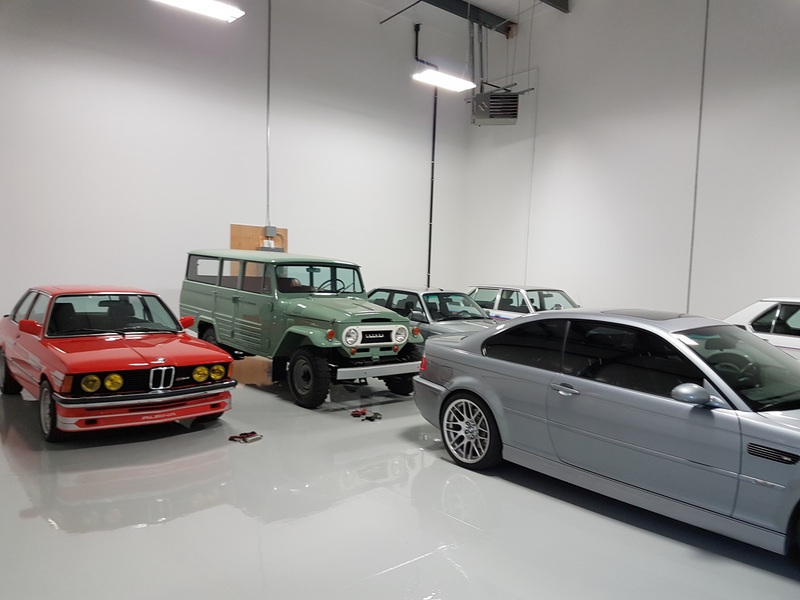 Our garage flooring solutions stands the test of time, and are guaranteed against failure. You don’t have to pay twice for the same job. ​Let’s take a look at some systems and applications for residential garages, and answer some frequently ask question about these systems. Epoxy Coatings is a mixture of two part component. One part A resin is mixed with ½ part B hardener to form the bond. Mixing is done carefully and properly to allow for proper curin, there is a short window for application after mixture and requires eight to twenty-four hours for it to cure depending on the combination of hanener or accelerated used. After curing, Epoxy provides a hard surface that is durable and can withstand extreme temperature fluctuations. 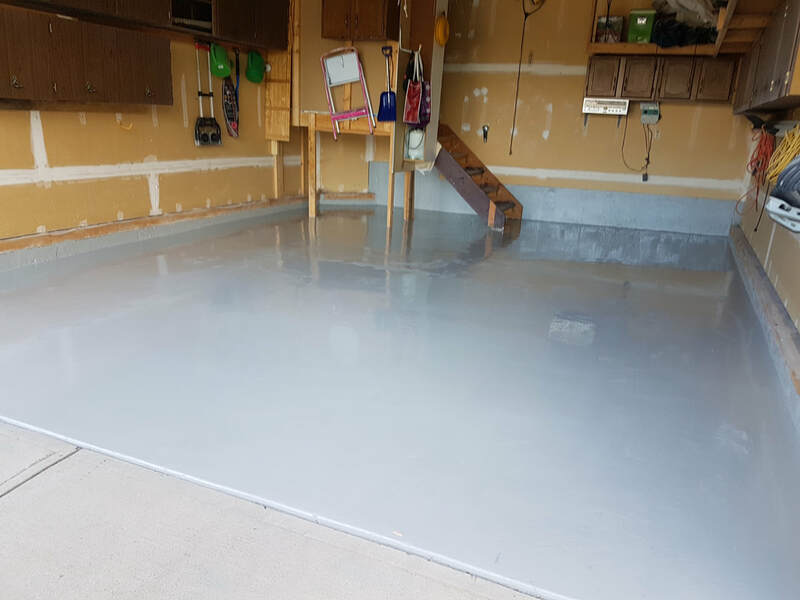 The flexibility of high temperature epoxy floor coatings is the reason why some new building contractors would have it poured over a concrete subfloor to serve as a protective layer against thermal shock. Epoxy system can withstand extreme temperature fluctuations and is resistant to staining, abrasion, chemicals and oil spill. Most homeowners do their oil change themselves. When oil leak on concrete, it penetrate. You can protect your Garage floor from such penetrations by applying epoxy coating. Deicing salt, which is Magnesium Chloride (newest deicing salt) that is used to melt snow and ice well below -25C is said to have less damaging effect on concrete surfaces. Which means it still have Damaging effect. Salt lowers the melting point of water, causes moisture, and raises the pressure of frozen water which is bad for concrete. ​While there’s no way to avoid bringing salt water into your garage when it snows, you can still safe the life of your floor by coating it. 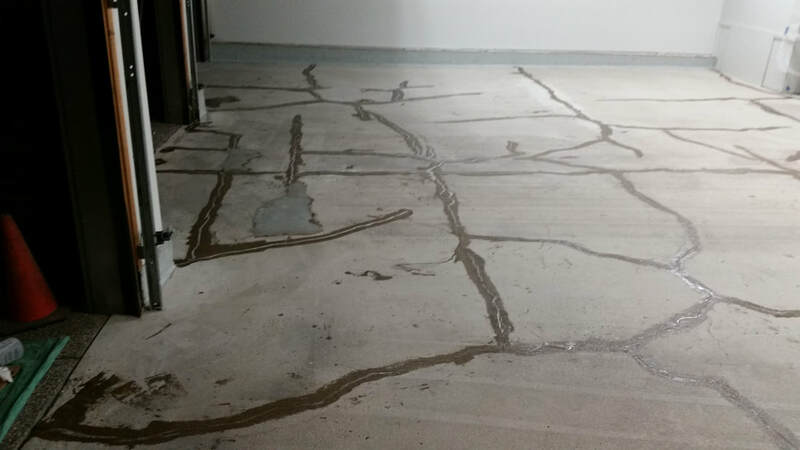 This is why we recommend epoxy flooring for new construction building. Epoxy comes in clear colour, we can tint the resin to a colour of your choice. First day is usually for prep, the prep is one of the most important part of the processes, care must be taking to clean the floor either by grinding or shot blasting to expose the concrete so the epoxy will bond to it. After grinding, patching the cracks and filling the joints if any, the first coat will be applied. Day two will be the final coat usually couple of hours. Epoxy floor curing times is a minimum of 8 if accelerated ( fast curing hardener ) is used instead of Epoxy Part B or 18 - 24 hours if the normal part B hardener was used. When properly installed, epoxy flooring can last over 20 years and not crack or peel. It’s flexibility and durability protects the floor against any corrosive materials and chemicals. It’s durability and lifespan is making it a recommended application for commercial and industrial uses. Epoxy floor is shining but not slippery when it’s dry. 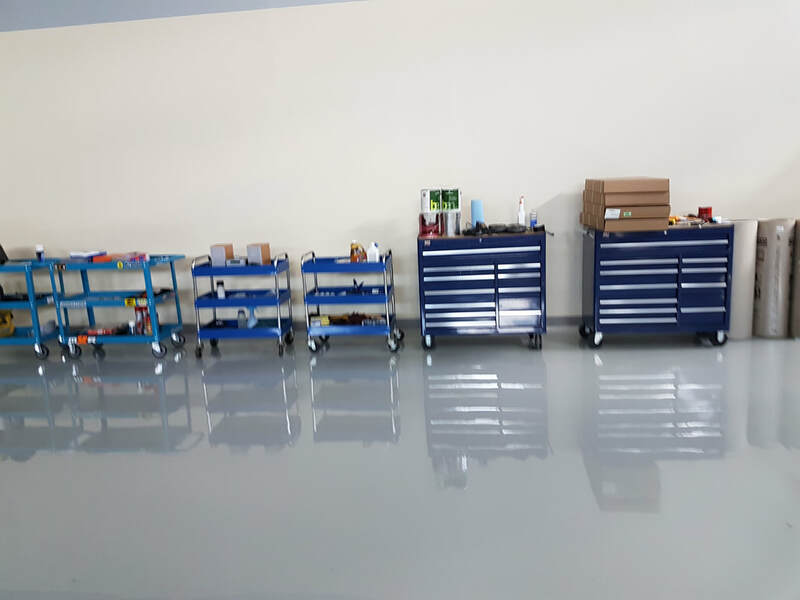 A wet epoxy floor can be slippery, but anti skid additive of various type can be added while mixing or broadcast after applying the epoxy to the floor while it’s still wet and then back roll. CAN YOU PUT EPOXY OVER EPOXY? There’s a short window between when you put down a first coat and put another coat on it, usually 12 to 24 hours. If you mix this window and the epoxy is still very new, you could wipe the floor with a solvent to open up the material for it to bond to another coat. 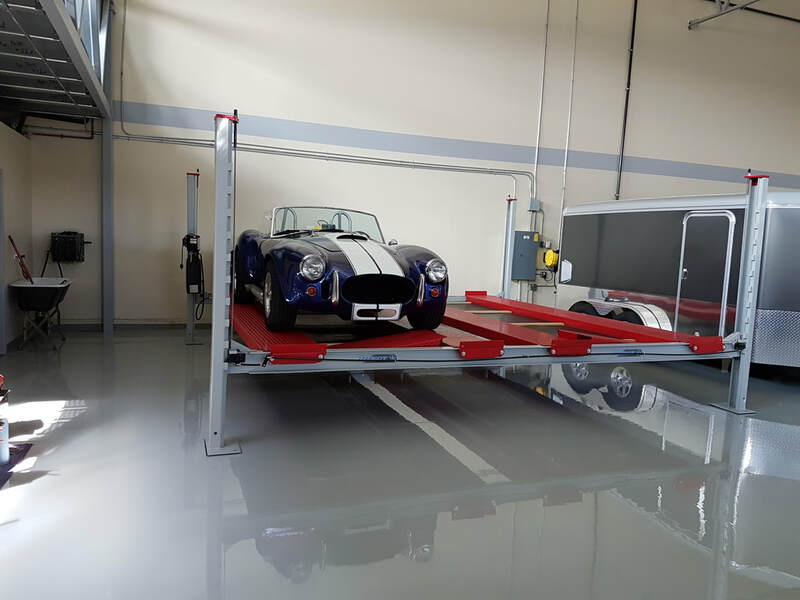 If the Coating is worn out or damaged due to natural and inevitable occurrences as a result of normal wear or aging, which usually occurs after a couple of decades. You will need to take out the old coating for a new one to adhere to the concrete again. Grinding is recommended for cleaning up the surface and opening the pure of the concrete. This process allow for a complete removal of the old epoxy. Sweep and vacuum the floor before applying a new coat. Epoxy resins in it’s liquid or uncured stage is classified as irritant to the eyes and skin. It can be considered toxic to marine creatures. The resin never react until they are mixed together. Epoxy resin in it’s solid or cured form are considered safer than liquid resin, they are non-hazardous materials. During application the door/doors are should be left open for adequate ventilation. The two part resin and Hardener used in Epoxy Floor Coatings smells about the same as a Sherwin Williams paint. If you can tolerate the smell of a paint used for interior homes, you should be comfortable with the smell of Epoxy. Follow the MSDS for proper handling of the product, leave the installation for certified professional or trained professional. After the material cures, there’s no danger to using your floor if material was applied correctly and cured completely. the lower the flash-point, the easier it is to ignite the material. The flash-point of Epoxy resin is high and it is classified as Non-flammable. ​Furnaces, wood stoves, and other heat sources. These heat sources do not pose any significant​ fire hazard in the presence of epoxy vapors.